Archaeologists from the Department of Culture and Tourism in Abu Dhabi have unearthed the oldest known Neolithic village in the UAE. The site on Marawah Island, which is located a little off the coast of the capital, was carbon dated to be approximately 8,000 years old, noted state news agency WAM in an official statement. Amongst the ruins, the team found 10 houses, in good condition, consisting of several rooms and outdoor spaces for preparing food and raising animals. It is believed that the living spaces were in use for several hundred years. 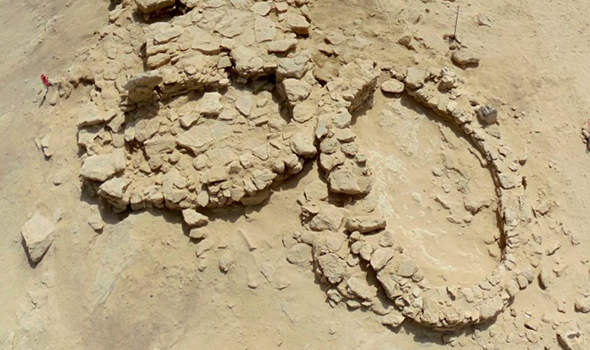 While the UAE is home to a number of archaeological sites from the Neolithic period, this particular site on Marawah Island is the first to be found with actual buildings. Until now, it was assumed that the UAE’s population had been purely nomadic, only settling much later, but the existence of these structures would seem to indicated differently. “The exciting discoveries they have uncovered thus far serve to showcase Abu Dhabi’s earliest years, and help us accurately map out our development by seeing how far we have come,” said Mohammed Khalifa Al Mubarak CEO of the Abu Dhabi Department of Culture and Tourism. Amongst the artefacts found on the island was a ceramic jar, the oldest known evidence of the porcelain trade in the UAE, now on display at the Louvre Abu Dhabi.